Mental illness amongst the young is a growing and worrying trend and that is why the Singapore Association for Mental Health (SAMH) has implemented Creative SAY! and YouthReach. The former is a holistic engagement model that uses sports and the arts to enhance psychological and emotional resilience among the youths, while the latter leverages on the strength of the family to give young ones life skills training and aid faster recovery. 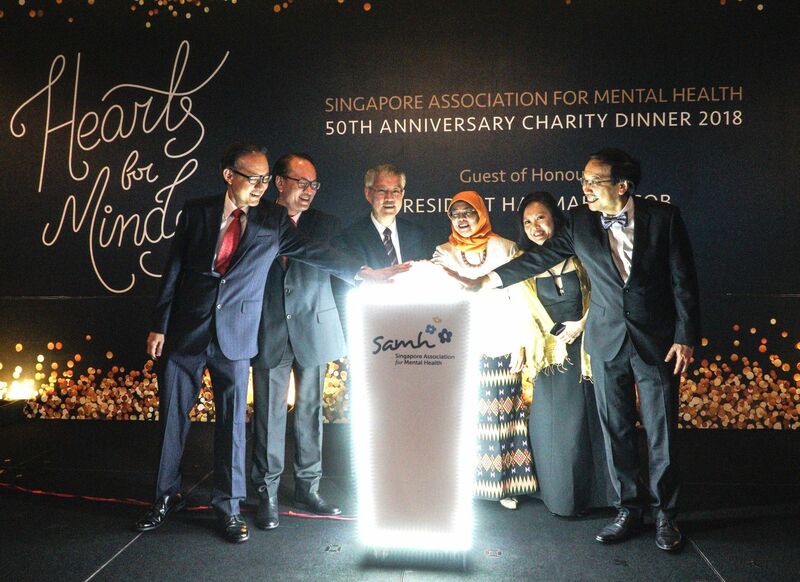 The proceeds raised from the SAMH 50th anniversary dinner—themed "Hearts for Minds"—will go towards these two programmes. The association also unveiled its new logo and website that evening.